Birtys reinvent old skirts into stylish new bags. Each one is unique, adapting and enhancing the features and style of the original garment. Birtys are bags made out of skirts. Birty debuted at [re]design 06 GOOD AND GORGEOUS and since then many unloved skirts have been reinvented into highly desirable, perfectly practical and rather lovely bags of all shapes and sizes. Birty’s are available here. 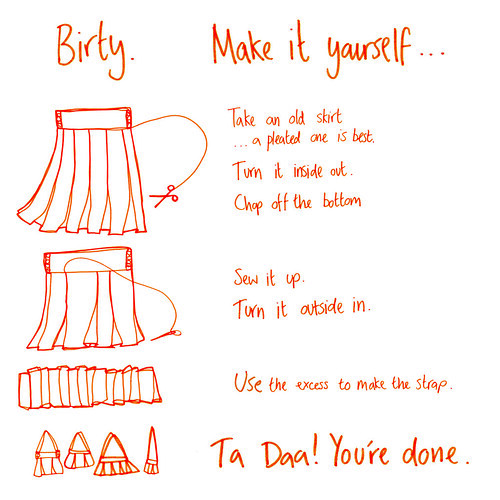 Or why not have a go at making a Birty for yourself?